I want to take this back then when blogging was new entrepreneurship to this present year though some people are still ignorant about what blogging and running a blog means. Most people take bloggers to be the poor, cruel and unemployed person trying to earn a living by writing some stupid stuff. In 2016 when I start my first blog site on entertainment niche, I spent most of my time on my phone and laptop researching and creating a post. Some of my friends see it as an unusual thing and disrespects my profession and I i condemned them the most common question I got was <blockquote>Can you make a decent living blogging and if yes how many cents have you made since ever</blockquote> Although my response was not that good because I haven't monetized my blog then but I tried to make them understand that you can make a living blogging but you need to build up a lot of traffic which might take years. 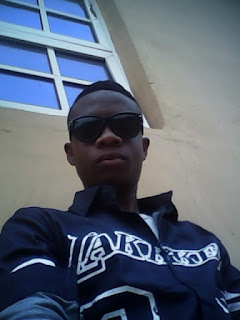 "Blog with passion and not for money and you will make it in blogging" I added. most professional bloggers demonstrate an incredible quantity of hiding wealthMost bloggers keep their online Income quite. Can you imagine a blogger telling their people that he makes $500 - $1000 monthly when he even earns more than $10,000 per month. Some bloggers spent way more than he tells his community he earns. They are afraid of backlash. Some bloggers might not have the same skills as a classically trained writer. A pro blogger should not be compelled by a writer. Bloggers employ the services of a writer and pay him/her on a monthly bases. Seeing this can an employee be more wealthy than his/her employer? 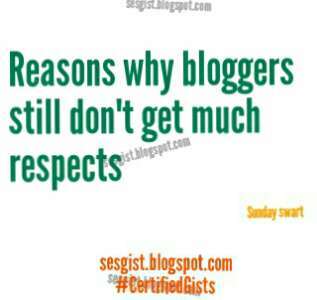 Bloggers will gain more respects over time. In the next 10 years to come, blogging will probably be respected as one of the popular profession in the world. If we look at the way bloggers are been treated back then in 2010 to this year, we will see a lot of difference. •• The blogging course must be introduced and be taught in high school and college. When they begin to teach blogging as a course in high school and makes them understand that pro bloggers make more than bankers, techies, doctors, and lawyers. Entrepreneurship is rocking hard these days. It's good at creating a job than looking for a job. Let our children think and say, when I grow up I will be a blogger. •• Highlighting what bloggers make to the public. I also think as soon as people figured out how much pro bloggers make and their lifestyle that goes with it, people's negative views towards blogging will change. Bloggers share this with your friends and audience to help popularise blogging. Thanks for this helpful piece. I'll share it.